THE NECESSITY OF HAVING THE PROPER DISPOSITIONS TO RECEIVE GOD AND HIS WORD. The necessity of having the proper dispositions so that God’s grace would bear fruit in us. To accept Christ, hear His Word is not enough. It is necessary to put it into practice no matter the difficulties it may entail. In the first reading (Is 55:10-11) rain is compared to the word that comes from the mouth of God which waters the earth making it fertile and causing the seed to germinate. God will fulfill his plan and bring it to its fruition through His Word, Our Jesus Christ. 2. The necessity of having the proper dispositions so that God’s grace would bear fruit in us. 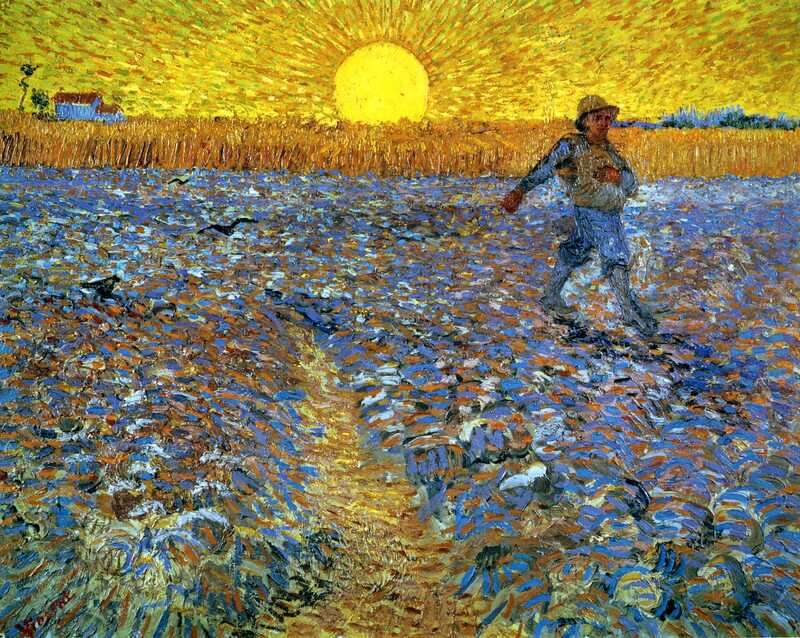 The parable of the Sower shows us how God’s grace and revelation can be received in different ways, depending on man’s correspondence to His grace. What Jesus says in the Parable underlines man’s responsibility to be ready to accept God’s grace and to respond to it. Jesus’ reference to Isaiah (Mt 13:14-15) is a prophecy of that hardness of heart which is a punishment meted out to those who resist grace. The soil refers to man’s dispositions in accepting Christ and his teachings. God cannot save us if we do not correspond to his grace and put our own part and hence the necessity of having the proper dispositions so that God’s grace would bear fruit in us. Man’s indifference, superficiality and worldliness may lead to the seed of God’s word to germinate but it will eventually, or wither and die, or be carried away by the winds of frivolity, materialism and hedonism. Hence, we must always strive to have good dispositions, being docile to His Word, put our own part, if Christ’s life were to grow and bear fruit in us. “And we can ask ourselves: how is our heart? Which soil does it resemble: that of the path, the rocks, the thorns? It’s up to us to become good soil with neither thorns nor stones, but tilled and cultivated with care, so it may bear good fruit for us and for our brothers and sisters. 3. To accept Christ, hear His Word is not enough. It is necessary to put it into practice no matter the difficulties it may entail. To accept Christ, hear His Word, is not enough. It is necessary to put it into practice no matter the difficulties it may entail. These difficulties are varied: a neo-pagan environment where materialism, hedonism and individualism seem to have the upper hand such that man’s priorities are inverted wherein that which is useful and pleasant (money, sensible pleasures, material goods…) are given more importance than what is morally good. In some cases, there is a sincere desire to follow Christ but inconstancy, laziness or the anxieties of life itself prevent one from doing so. Dear brethren in Christ, let us ask God, through the intercession of Mother Mary, “the perfect model of the good soil,” for the grace of docility to receive Christ and His Teachings through His Church and His instruments, and for the fidelity and perseverance to put into practice His Word, live our Christian faith and bear fruits of holiness and apostolate, arriving at the glory of the freedom of the children of God. Cordially inviting you to like and follow http://www.facebook.com/CatholicsstrivingforHoliness and share our posts to help more people in their Christian faith and life. Thanks! Fr. Rolly A.
Hello Catholic Vatican of Holiness, I am following the will of God, his only begotten Son and the Holy Spirit. It is what was confirm by Mother Mary over God to me.